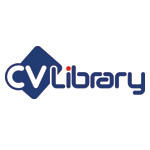 This Blue Monday, CV-Library, the UK’s leading independent job site, reveals that two-thirds of Brits are feeling the strain, with 67.7% stating that their job makes them feel stressed. What’s more, almost half (46.6%) said this impacts their private life, with 71.8% experiencing low mood even after they leave work. Respondents were also asked to identify the top causes of their stress, with the number one problem being increasing workloads (54.8%). This was followed by their manager (40.1%), tight deadlines (34.1%), making a mistake (30.5%) and customers/clients (25.9%). Biggins concludes: “Stress and mental health has become a hot topic of late, with businesses and professionals alike focussing on mental wellbeing at work. Despite this, it’s clear from these findings that more needs to be done to help eliminate stress and support increasingly busy professionals.